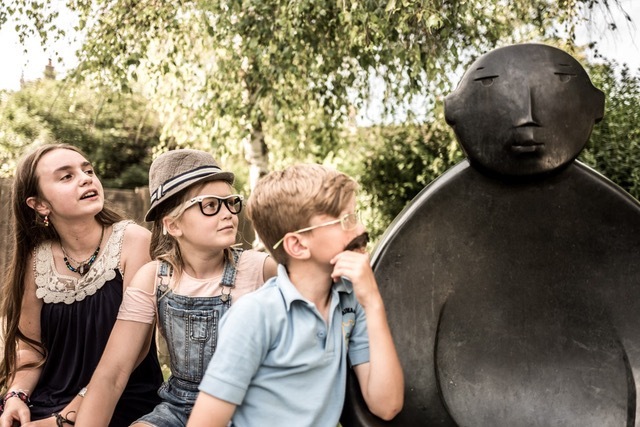 What would you think if you had the opportunity to buy a piece of sculpture for £10…. a unique piece of art, for the price of two cinema tickets? Whether you are a local or someone who may one day be a visitor to our town, you can be part of a communty that has made art possible for ordinary people in a surprisingly everyday context. 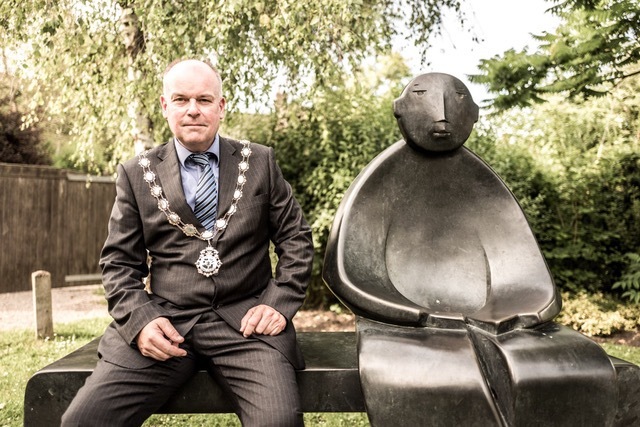 A piece of sculpture that children can play on, where people can sit, eat lunch, rest a while and watch the world go by…..
Back in 2015 local artist Giles Penny decided to lend a piece of sculpture to the town. He has permanent pieces all over the world but nothing locally. The green by the stepping stones over the river offered the perfect location. The Man on Bench was placed to sit peacefully contemplating life. Since then he’s become a much loved feature around Bruton. But if we want to keep him permanently, we need to buy him outright. That’s why we’re asking for your donations. 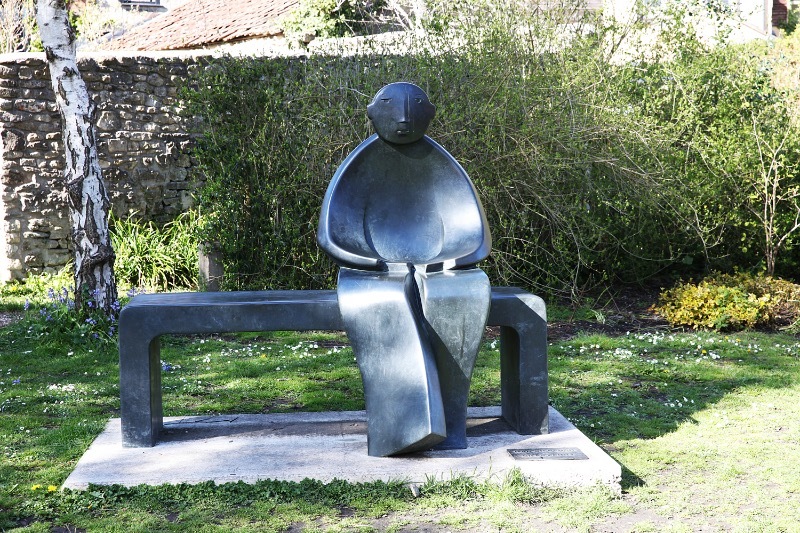 In a time when there are so many good causes to give to, we understand why some might question spending money on a piece of sculpture; however, the benefits of art and music to wellbeing are boundless. As the statue is bronze it will last many years with little maintenance so in the long term it represents extremely good value. The statue is also loved by tourists and is a good visitor attraction, having become one of the most photographed sights in Bruton. We hope you like Man on Bench as much as we do. We would feel sad to see him go, please give generously to ensure he doesn’t leave to find a new home.